If you are a newbie to iWorld then you would be really annoyed by the free apps which dont have much features and you will not have enough money to pay or your dad will not give his credit card for you and stupid ads getting popped up at unwanted times. Here are some tips where you can purchase some paid apps for free. According to apple if you once download a app from appstore it belongs to you for lifetime. So some companies will release their paid app for a limited time as free or drop their price. Keep looking out for them is the easiest way to get the paid app for free. 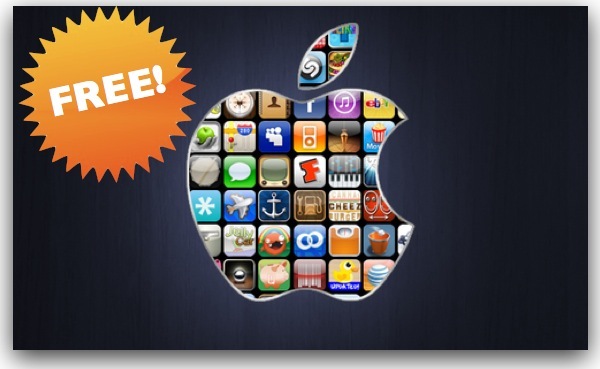 Appshopper is a website that provides the list of iOS/Mac apps which goes free for a limited time. So the best is to visit this website daily and find the popular iOS apps that has gone free or dropped in price. Just click the buy now button that will open the app in iTunes and click the download button. If you really dont want that app right now but it may be useful in future just download it and cancel the download at once the app has started downloading because it will make you own the app for lifetime. Apple will release a outstanding-superintuitive-awesome-amazing app free for a week. Which you can checkout at the home page of iTunes. When i am typing this blog Plants Vs Zombies is free app of the week by Apple(which is normally priced $7 for iPad HD and $3 for iPhone). Those who are diehard fan of PvZ this is absolute jackpot for them. This is the most simple method of purchasing a really good paid app for free. A big thank to apple for this. These apps provide you notifications of some interesting price dropped apps. Mostly some companies will give out all their applications for free. So also watch out for the developer companies and their products. For example they may drop the price for all thier applications when they release a new app or company founded day or some 100000 applications downloaded day. So cross your fingers for that.